Welcome Mark Hilliard’s Fine Art Nature Photography Blog! Here I will showcase my favorite work with explanations of how each image was created. I hope that you enjoy these images as much as I did in making them! 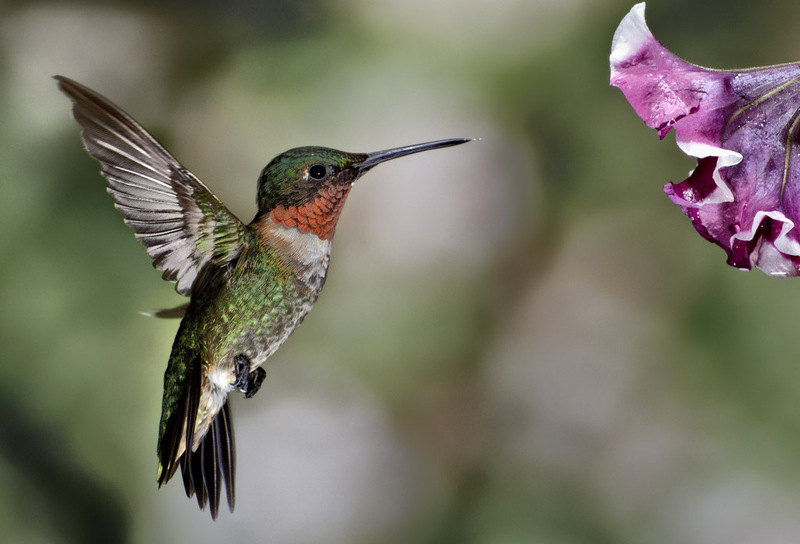 September & October here in the Low Country of South Carolina is the time that we see the greatest Hummingbird activity as they migrate to Central America. So I thought that I would post a few of my best Hummingbird images! Here is a LINK to my hummingbird blog, please consider giving it a visit to find out how I actually take these ultra high speed images of these little birds! 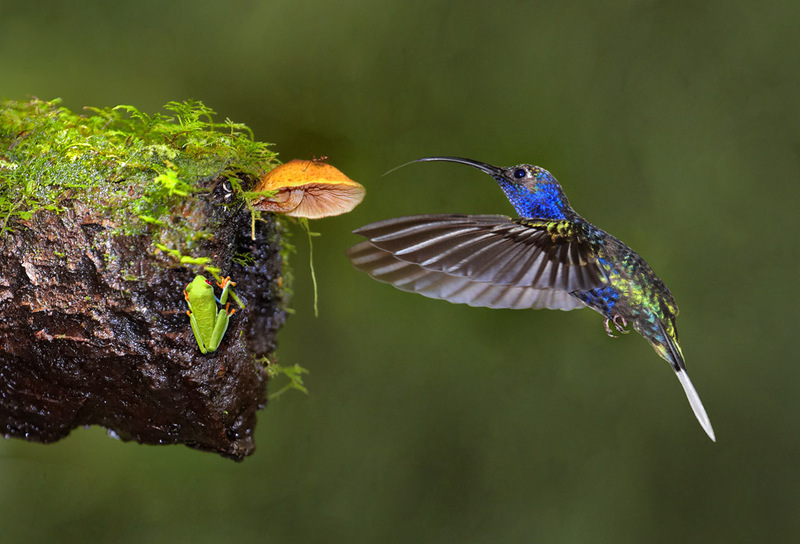 This first image is of a Violet Sabre-winged Hummingbird going after an ant on the mushroom while a Red-eyed Tree Frog watches. The image was taken in the cloud forests in Monteverdi in Costa Rica. 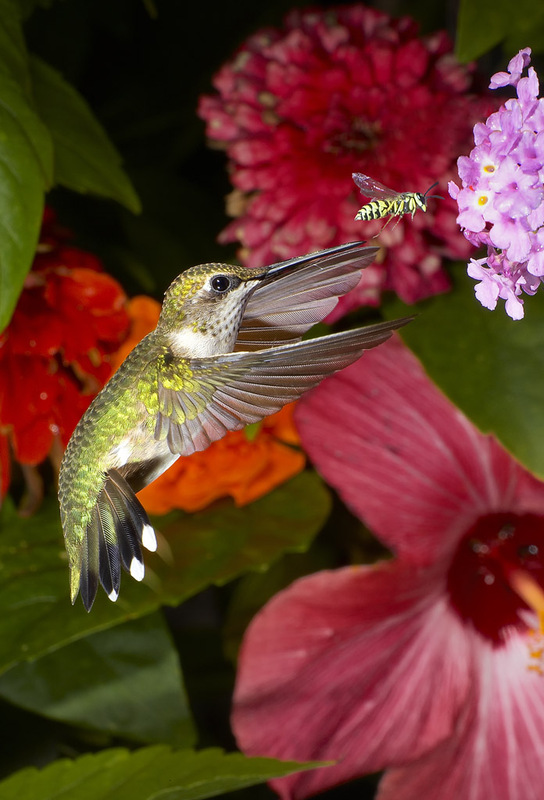 Next, is an image of an immature Ruby-throated male Hummingbird trying to feed in my back yard and chasing away the Yellow Jacket! These little birds are afraid of nothing (which can be their downfall). Lastly, a mature male again taken in my back yard! I hope that you have enjoyed these images. Hummingbirds are my FAVORITE bird subject in the whole world! I spend a lot of time and energy setting up for this and love every second of it! 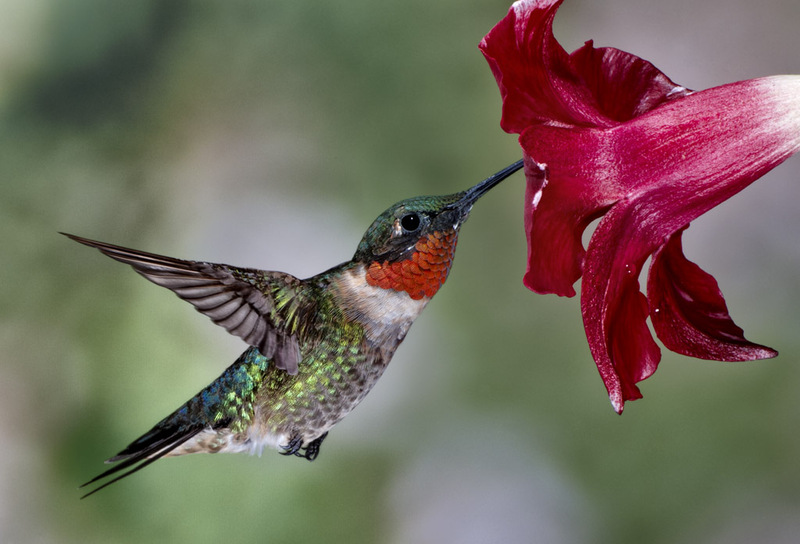 The Master of Humming Bird Photography, Mark also shares his set up in a Link in the body of the text. Thanks for the share and comment! That is fine but please email me a picture of your painting!